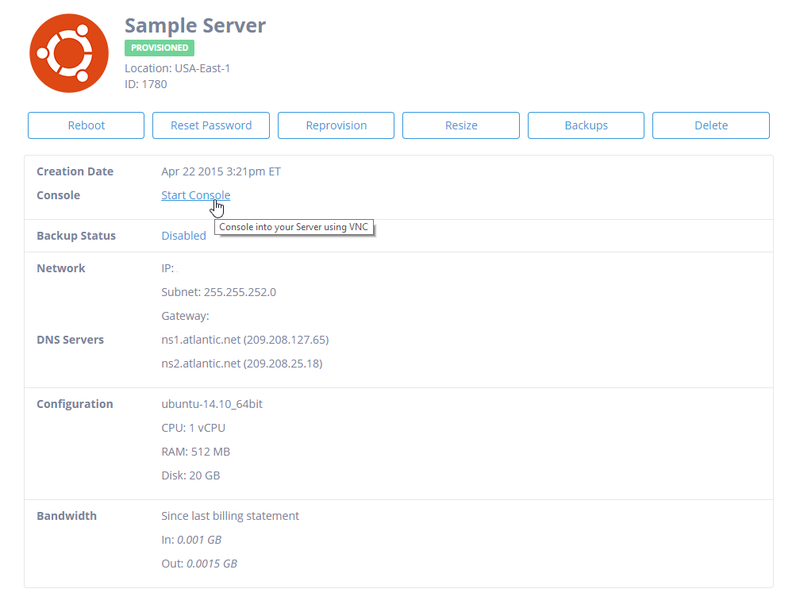 Atlantic.Net’s Cloud Servers Administration Interface includes a server management module (“Manage Servers”). You can use the VNC for many reasons, including but not limited to, if your server is not accepting remote connection attempts, networking is disabled or configured incorrectly, or you need to run commands as if connected directly to the servers console. 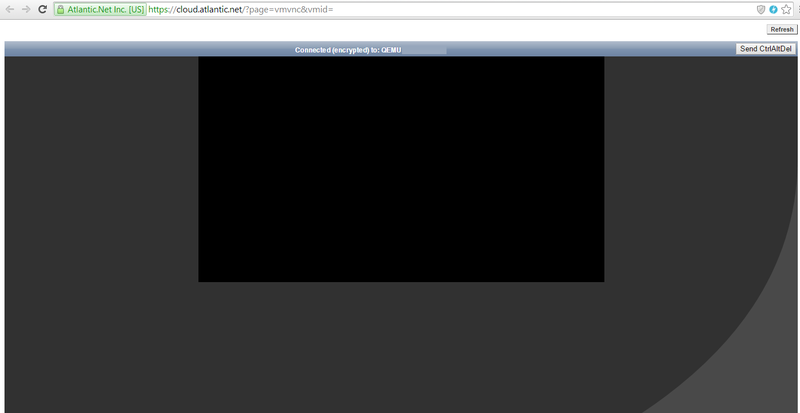 You should have an Atlantic.Net account and cloud server that you are trying to VNC to. You should be able to log into the Atlantic.Net Cloud Control Panel at https://cloud.atlantic.net. Once you are logged into the Net Cloud Control Panel, click on the server that you would like to console into. After selecting the server click Start console. It should open a new window/tab. If you are using a Unix-like server and it has an all-black window on the screen, just click on the window and press any key. You will see your cloud servers log in screen and you can log into your server with the credentials that were presented to you at sign up, or whatever the current password is if you have previously requested a password reset or changed it yourself. Learn more about hosting services from Atlantic.Net, including HIPAA cloud hosting.